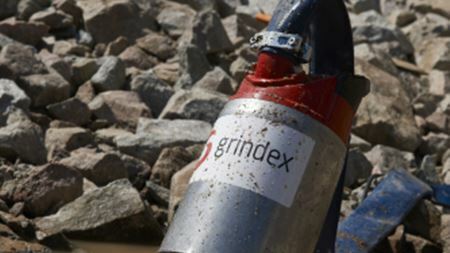 Grindex has developed the Micro, Mini, and Solid pumps, which can handle 4, 6, and 7 litres per second and pump up to 10, 16 and 12 m respectively. Xylem Inc unveiled a range of new products, services and solutions at the IFAT ENTSORGA trade show in Munich, Germany. IFAT ENTSORGA has had its largest ever number of visitors and exhibitors. PAMAS GmbH, a specialist in particle measuring and analysing systems, has celebrated its 20th anniversary. Grundfos has developed a new impeller for wastewater hydraulics that it says offers greater hydraulic efficiency than other types of wastewater impellers. Sales of industrial pumps in Asia will reach almost US$16 billion this year according to the McIlvaine Co’s latest Pumps World Markets research. Xylem Inc has launched a new digital version of its ‘Impeller’ magazine, which is now available in a new multimedia format in 11 languages. The head of technology at Wilo SE has resigned to pursue new challenges outside the pump company. Grundfos vice chairman Jens Moberg has been elected group chairman at the Grundfos Holding A/S general meeting.